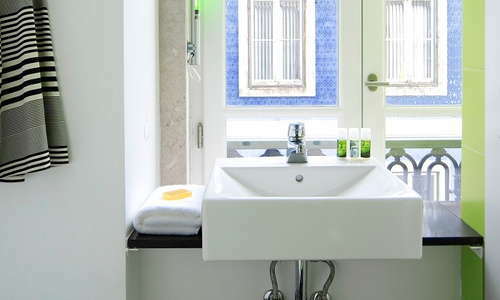 This modern, minimalist-chic 3-star boutique hotel just off Praça dos Restauradores brings modernity and value to the Baixa. Accommodations are on the small side, but make good use of the available space. 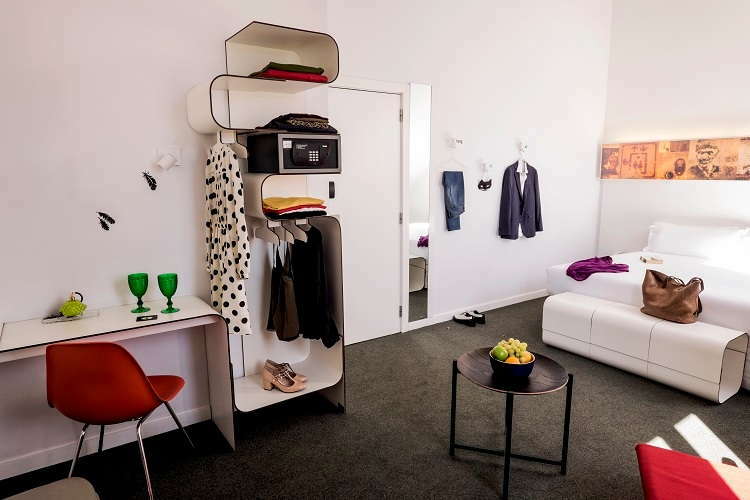 S But Gat Rossio is spotless and tidy and boasts flat-screen TVs and free, speedy Wi-Fi throughout (plus iPod stations in superior rooms and the three-bed family room). The lounge and spacious breakfast room are bright, with a small terrace that's ideal for soaking up the views. 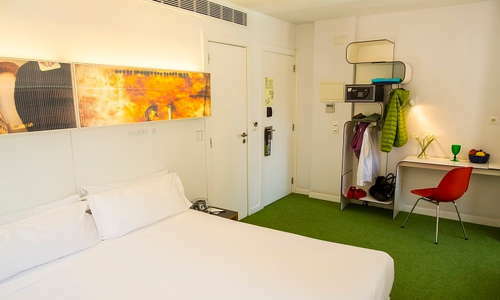 The 71 rooms and suites here are small but cleverly designed to make good use of limited space and aimed squarely at a somewhat youthful clientele. 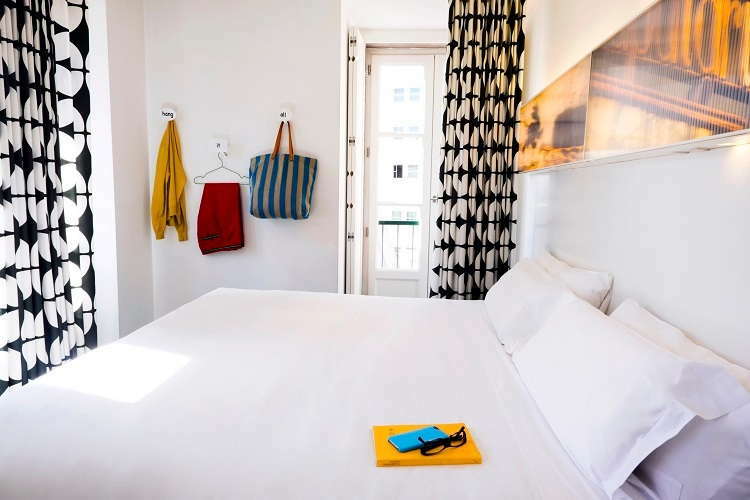 Speedy in-room Wi-Fi, LCD TVs, work desks, and laptop-accommodating safes are standard, while suites have iPod docks and coffee makers as well as a small living area. Some rooms have Juliet balconies. Decor is all-white and uncluttered. 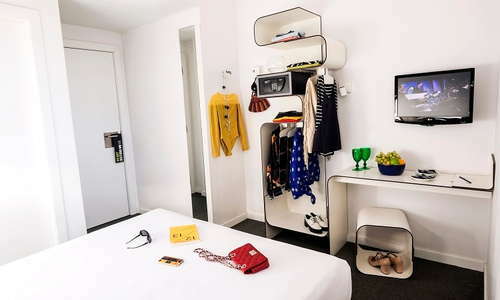 Standard rooms are on the boxy side, and fittings minimal: the bedside table must double as a chair if you want to use the writing desk, and the wardrobe is part of an open shelving system. YOU SHOULD KNOW Tall guests may have to stoop a little in the showers--some are on the low side. The lobby and communal spaces have a fresh, contemporary feel, and staff at the 24-hour reception are helpful and friendly. There's a welcoming, informal lounge decked out with comfy seating, colorful cushions, and bright artworks, which tends to be popular with young people attending to their social media accounts. Guests are welcome to use the lounge for working, reading, or cocktail-sipping, and a wood-burning fire keeps things cozy on winter evenings. During the summer, the relaxed terrace is a good place to hang out and get to know other guests. The buffet breakfast is served at long communal dining table in a bright and airy space. During the summer months guests can eat out on the terrace. There's no hotel bar, but guests are welcome to enjoy their own drinks in the lounge. Aerobus shuttle buses stop just 2 minutes' walk from the hotel at Restauradores square, and Restauradores Metro is similarly close at hand. 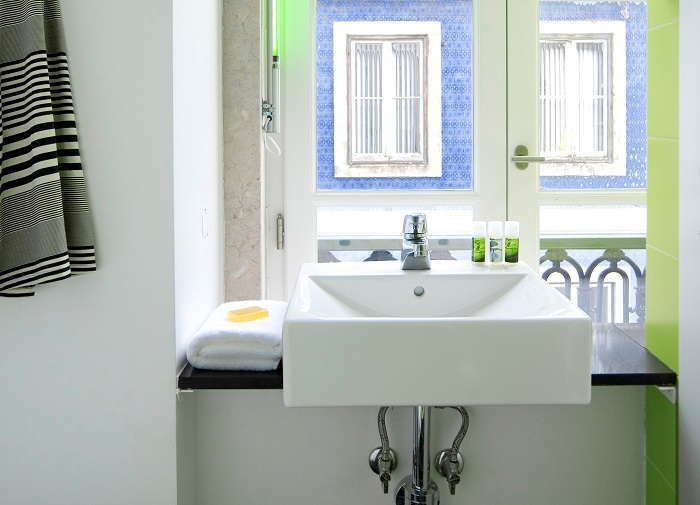 The photo-worthy Rossio train station is less than a 5-minute walk away, and is the departure point for trips to Sintra and Queluz. Buses, trams, and taxis ply the streets nearby, but a large part of the hotel's appeal is that it is within walking distance of all the tourist attractions in historic Lisbon, from the grand plazas of the baixa to the steep cobbled streets of Alfama, and the buzzing nightlife and restaurant scene of Bairro Alto. Even allowing for window-shopping and photo-snapping, no historic attraction is more than a half-hour stroll from the hotel. Gat Rossio is surrounded by dining opportunities, but watch out for overpriced and underwhelming tourist traps. Excellent value grilled chicken and meat can be found almost next door at Restaurante O Churrasco (1-minute walk), a pleasingly unpretentious spot that is popular with locals; while Solar dos Presuntos (4-minute walk) is only slightly farther, and has an excellent, fairly-priced wine list and a menu of traditional Portuguese dishes made with care using the freshest ingredients. 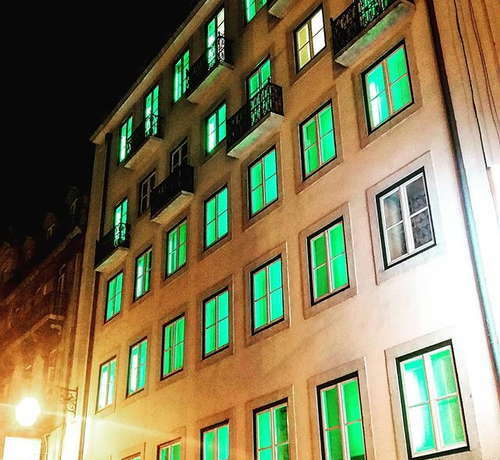 Lisboetas love to sip a drink al-fresco, and guests can do that in style at the trendy Topo Chiado (5-minute walk), a trendy open-air bar with terrific city views, a fashionable crowd and DJs spinning tunes throughout the night. A little farther uphill, Bairro Alto is famous for its nightlife and has a street party vibe at weekends. Wine enthusiasts can try samples of various Portuguese vinho styles at The Old Pharmacy, a stylish wine bar that-as the name suggests-was formerly a pharmacy. This hotel is fun and unpretentious rather than flashy, and has a slick, space-conscious style with colorful touches that attract a youthful clientele, yet Gat Rossio also caters well to families. 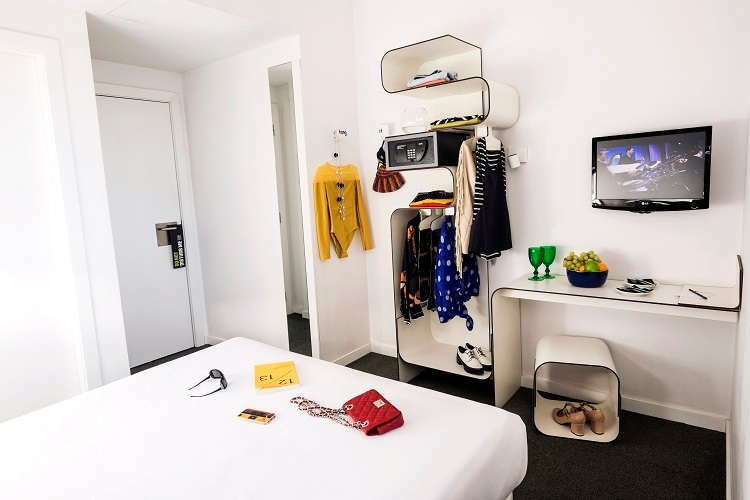 Affable service, clued-up staff and a welcoming, well-appointed lounge are points in the hotel's favor, but it's the super-central location that makes it a really great base for exploring Lisbon.